My name is JD Jensen. I started being the sports editor at Skyline in the fall of 2017 and will graduate in May of 2019. I have a passion for sports, particularly baseball. I love the competition, and to report on that stuff. 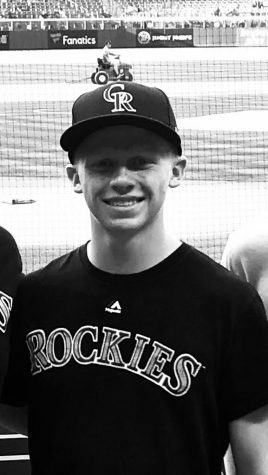 I love the Colorado Rockies, and play baseball for Skyline High School. I want to take the Skyline Journalism team to the next level, and think I can do that through the world of sports. Hope you all read the sports section!